Want to know if FB Academy is legit and worth spending money on? In this review I will cover a few things that include, the costs, what they offer and obviously the features I liked and disliked. These days everyone wants to make money online and it can be hard to find a way that works for you without costing you more than you will earn. This is the reason we read reviews and do our research before enrolling in a program. We want to make money, not lose it. So with all this in mind, let us review FB Academy and see if indeed it is worth killing the bank. Facebook Academy is a program dedicated to teaching people how to make money with the use of Facebook ads. You can make use of this method no matter if you own a business or if you are marketing someone else’s company. This is very important, since it is crucial to know how to drive massive amounts of traffic with the use of social media such as Facebook. FB academy consists of modules, and other sorts of training, including bonuses, all mentioned and explained below. Anik Singal is the founder. He is a very successful online marketer and have a multitude of products and knowledge to offer. 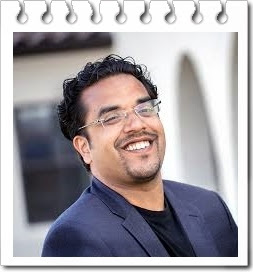 In my opinion, Anik is the master when it comes to most of the marketing strategies, as he has been doing it for many years successfully. He also has the ability to explain complex methods in an easy to understand manner. If Facebook advertising is not your thing, you can also check out his program that teaches email marketing, called Inbox Blueprint. Keep in mind, there's always discounts and other offers, so it will be best to see which discounts are offered at the time of signing up. Objectives and Targeting - This will be the part where you specify (tell Facebook) what it is that you want, and who it is intended to reach. Creating the Ad - This is not a picnic in the park. You will have to know about Psychology, copy-writing, visual flow and way more. No matter, FB academy is where you will learn about all of this. Scaling up - When launching a successful campaign, you will have to know how to optimize it. This means you will need to be able to look at an ad, and instantly know whether to adjust, invest, or to just shut it down. This is where you will receive 24/7 access to FB Academy coaches and their team. You will also receive access to experts, real time feedback on your campaigns and continual training sessions. You will never be left alone to deal with your troubles. Getting Started – The introduction that explains how FB advertising work. The Sales Funnels – Learn how to identify the different types of traffic and what offer would work best for each type of audience. Landing Pages – How to build FB compliant landing pages to generate leads. In short, how to build pages that comply with Facebook’s strict rules. The Ad – How to create your ad, this includes the design, how to identify your audience and the actual creation. Targeting – In-depth training on targeting the right audience. Optimization – Learn how to track your campaigns and optimize it. In addition, you will also learn how to adjust it, when to shut it off and when to invest more. Advanced Strategies – Guidance on your sales funnels, what will work best and how it can be implemented to only name a few. Certification – You will receive a “Lurn Certificate” when you pass the FB Academy exam that is recognized by the social media industry. Nuts and Bolts – This is a questions and answers section that will cover addition questions you might have. Facebook Ad Swipes - This is where you will be provided with inspiration to what to write, post, build, and more. You can also use some of the content from Anik’s highest converting campaigns. Ad Creation Mastery - This will provide you with the entire ad creation toolkit. These tools are everything you need to create the perfect images and videos to get a huge amount of Clicks. It is easy and needs no tech knowledge. First Campaign Checklists - This is a checklist to help you make sure you launch the perfect ad campaign. It helps to make sure you do not miss anything when launching your campaign. Kick Start Targeting - This is a list of niches, keywords and interests to use when you are building campaigns. This means you do not have to struggle and figure it out on your own. All this saves you more time. Decision Maker Bonus - When joining the Facebook Academy, you will receive one year of free coaching calls. This includes personal live training with Anik, once every two weeks. You will also have access to the 24/7 Lurn team, for when you are in need of assistance. The step by step training is quite easy to follow and each module comes with its own video. Even complete beginners would be able to implement the modules and be successful with FB advertising. There is no recurring fees or upsales, one-time payment only. In addition, an option to pay installments. Training is up-to-date, meaning, you do not pay a fortune only to receive lessons that should rather be kept in the stone age. They provide you with a checklist so you can keep track of your training. There are niches that is done for you, to save money and time. Live examples and case studies to watch how the system is implemented and learn from it. Facebook Academy solely focuses on teaching FB ads, NOTHING ELSE! With the marketing industry being so broad, it is quite annoying when one wants to learn specific marketing strategies and then stuff is tossed in that is completely irrelevant. Thank goodness, Anik knows how to stay on topic to avoid confusion. Receive a Certification for Facebook Advertising. 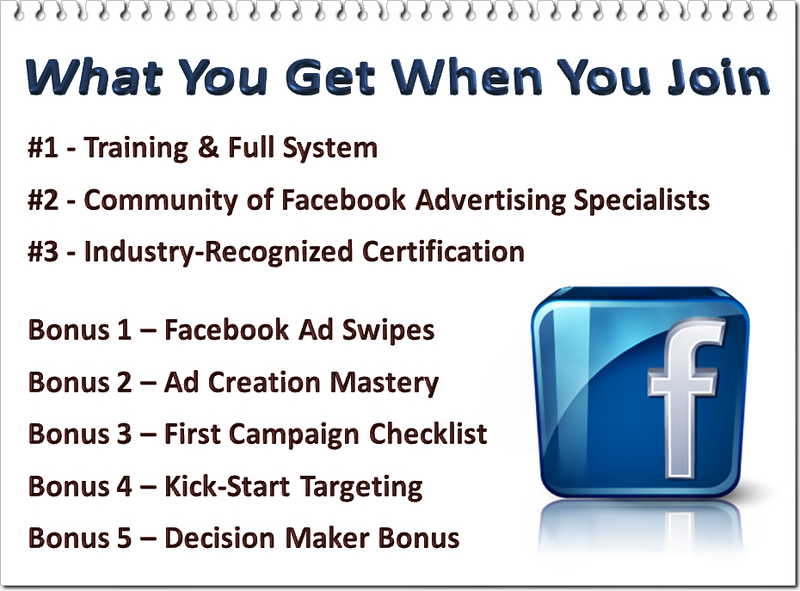 This will make you a certified Facebook Ads Expert, giving you instant credibility. This will get you more clients, opportunities and set you up for long time success. NO refund policy! Because the training is in digital format and you get immediate access to it once you join, no refund can be given. Allow me to elaborate…Nowadays, it is quite easy to join a membership or buy specific training only to copy or download it and then to cancel the membership or ask for a refund afterwards. Sadly, due to this behavior, marketers are forced to no longer offer refunds. Imagine working for years to perfect training, only to have others “steal it”. So yeah, I am not a big fan of programs or products that does not offer a refund, but when it comes to digital information, I kinda understand the reason behind it. Be absolutely sure this is the training you want before purchasing! Although it is a bit on the expensive side, you receive quality training that is effective. Nowadays, thousands of newbies purchase training or join memberships, only to rush thru the training provided, or skipping modules or sections they think they do not need. Indeed a problem when one cannot be disciplined to complete and implement what one paid for. This is the main reason why people fail, lack of focusing on one lesson at a time. Anik kinda forces you to literally take it step-by-step by locking the modules and you can only unlock the next one, when you passed the previous one by passing the quiz. Good way to discipline and help people to focus only on the task at hand. I strongly believe that if one has good leadership and receive the correct training, it is almost impossible to fail if dedication is the drive behind success. FB Academy works if one implements it by trial and error (like any other marketing strategy). However, if you only want to “give it a quick try”, I would not recommend wasting this much money. Rather pick something a bit cheaper and give it a second chance at a later stage when you are sure that you will be able to make it work. Do you use Facebook Academy or have you used it in the past? Facebook academy seems to be a good opportunity but it's a bit pricy and considering the fact that it does not have a refund policy I am not sure if I invest on it or not. Maybe, I'll search more about other similar courses before deciding. Thank you for the in-depth review. I do agree, a bit on the expensive side, and if unsure, I do not recommend investing in it. Will be on the look out for proper training that is cheaper or free and update. Once a while, Anik has some free training or books that he gives away that is well worth looking at. Feel free to check it out. Thanks for leaving a comment, it is appreciated!